Home / senegal / Bold EAGLE, program revealed! Sebastien Guarato revealed the future program of his champion BOLD EAGLE (photo). 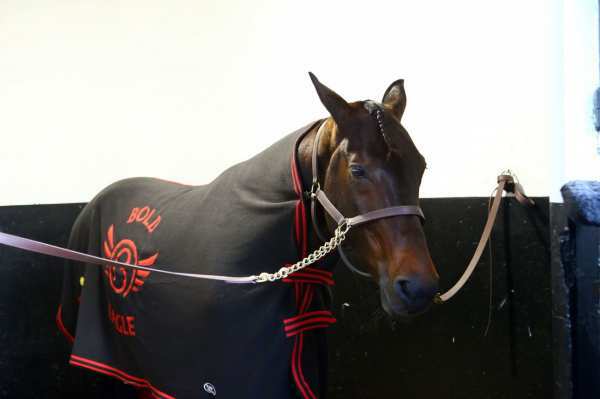 Not seen in official competition since March 10, date of his bitter failure in the Grand Critérium de Vitesse of the Côte d & Azur (Gr.I), the son of Ready money should be at the start of the Prix de l & # 39; Atlantique (Gr.I), next Saturday in Enghien, test of which he is next to double the title holder. According to our information, Bjorn Goop must be his partner, this decision after the choice of Pierre PilarskI own the horse. Then, in the early summer, Bold EAGLE must be oriented to a European, and more specifically Scandinavian, campaign.